Understand how company value and investment rounds effects the value of your company through every capital raise to IPO. Understand capital raise dilution and the value of your company throughout every capital raise. 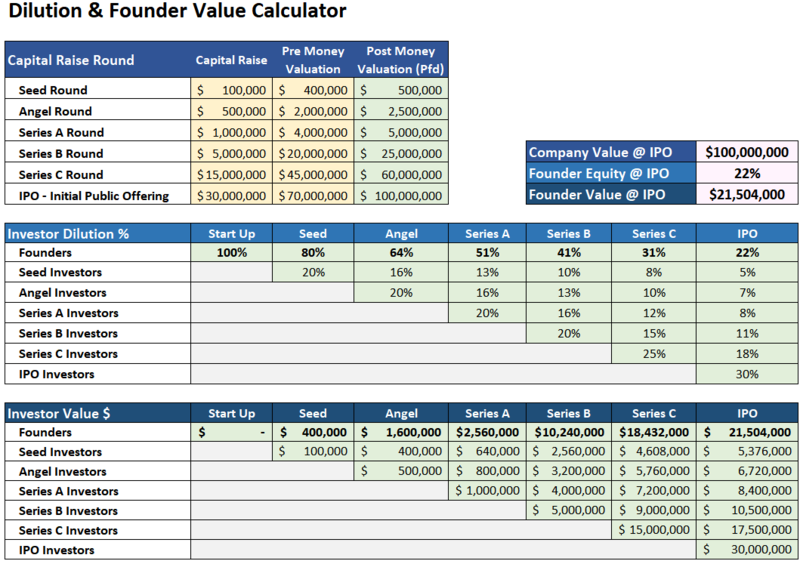 The Capital Raise Dilution Calculator is a spreadsheet designed to allow rapid updating of your capital raises amounts and company valuation from your seed round through to exit so your can test your thinking and view the results in a simple beautiful chart view. 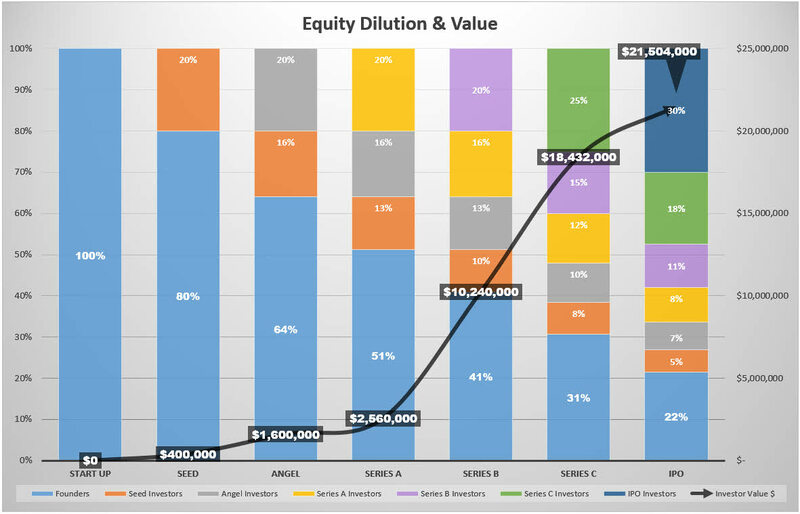 I’ve done all the hard work for you and refined this spreadsheet with years of experience to give you the clarity you need to confidently plan your capital raising steps and determine the value of your equity all the way through to Exit. Get the calculator now !